Just what a girl wants. 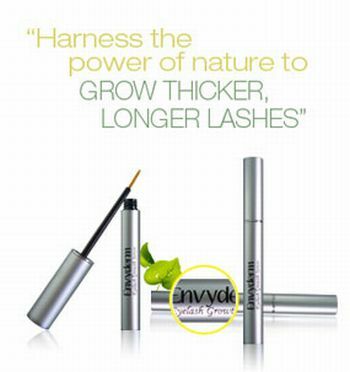 Thicker and longer lashes! This is so cool. Love to see if this works. Have a super Easter Weekend!! My eyelashes could use this! Haha. Tweeting about the giveaway (@artfashion20) and obviously following you on GFC! BTW, you inspired me yesterday and I ordered the F21 floral wedges... woooo! Oooh fun!!! I would bat my lashes to my BF!! would bat my lashes to my bf!!! I'll bat my eyelashes at anyone and everyone! P.S. And of course I'm already a follower! I like to bat my lashes at... handsome strangers! I already follow your blog & Twitter! I'm boring, I like to bat my lashes at my boyfriend when I'm propropositioning something he may not like. Who doesn't want longer and thicker lashes? Best giveaway! 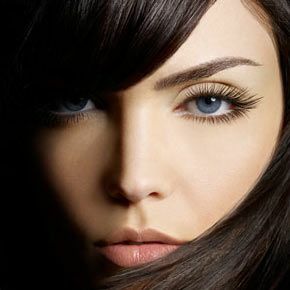 There is only one person these lashes get batted at, these day :). Oh my gosh this sounds like a dream come true! I'm already a follower and I just tweeted (@EmmaKoller). Great giveaway! I'm already a follower!!! Some one is gonna be sooo lucky! Awesome contest, wish I could enter! i bat my lashes at my bf!! right now I only bat my eyelashes at my BF, but this is definitely a the ace under every woman's sleeve. great giveaway as always! hope you have a wonderful Easter with your family!! I would love to bat my eyelashes at... everyone, really. I'd love to bat my lashes at the cute guy I always see at the library. Nerd romances! Of course, I'm a follower. And I tweeted. My eye lashes could seriously use this! I like to bat my lashes at my boyfriend! I'm already a follower and I like to bat my eyes my hubs! I like to bat my eyes at my hubby! Lovely giveaway! I love to bat my eyelashes at my husband! i love to bat my eyelashes at my cute boyfriend when we're out on a date! i am already a follower of CF. i would love to bat my lashes at my hubby and Joseph Gordon Levitt--totally crushing on that kid! Hmm well i want to bat my eyelashes at Blake Shelton! I am a follower via GFC! My eyelashes are my fav part of my face to play up. I hope I win! I bat my eyelashes at my husband and Josh Harnett. Love him!